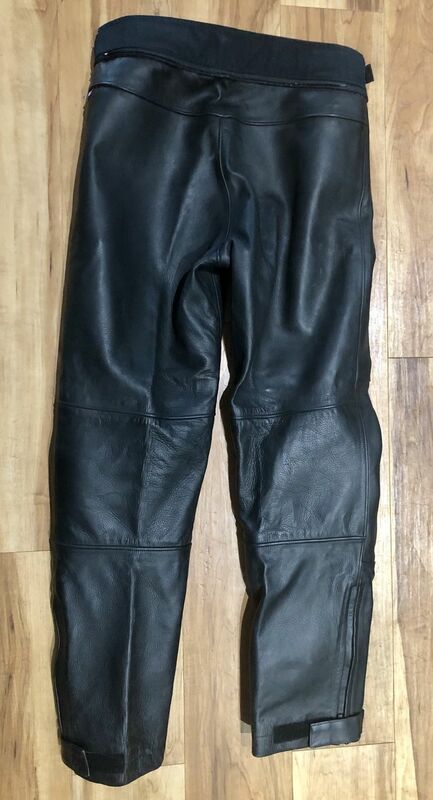 I got these Leatherguard pants some years ago and never wore them because they were the wrong size. 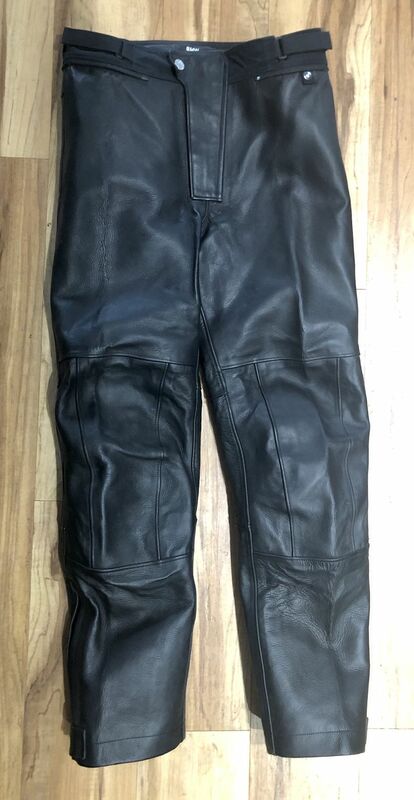 They are the ultimate in leather touring pants. Cut fuller than racing leathers, they are Gore-Tex lined and completely waterproof. 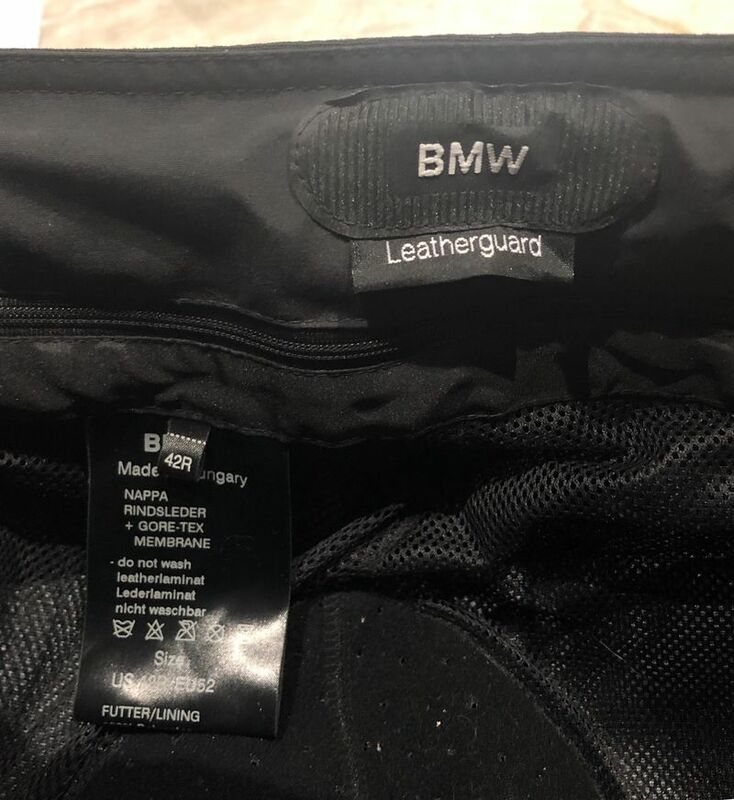 BMW size 42R. 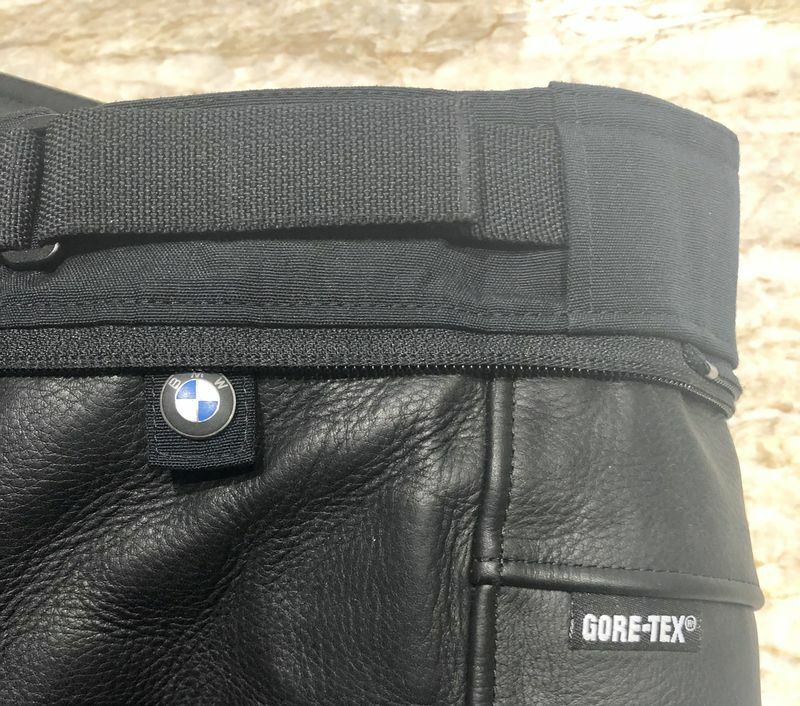 The leather is heavy, black German leather of the highest quality. Includes armor. Adjustable velcro waitband and cuffs; lower leg zippers. Zips to jacket. Interior zipped pocket.